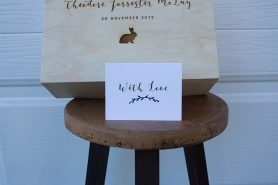 Express Shipping: Your order will be in your hands by the deadline you provide in the notes field at checkout. 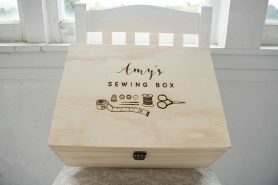 Please give us minimum notice of 5 working days. 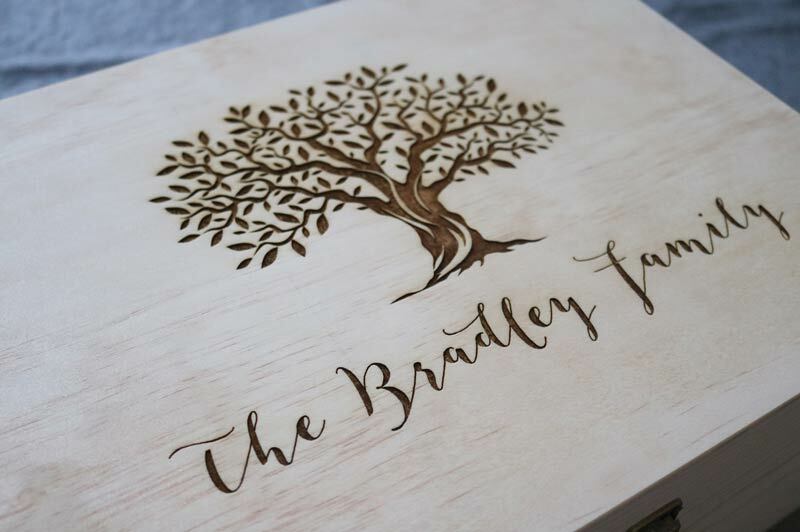 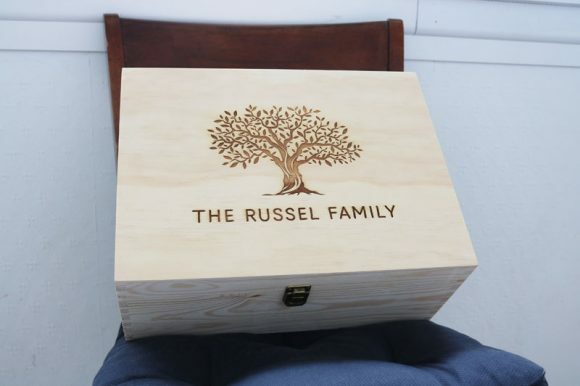 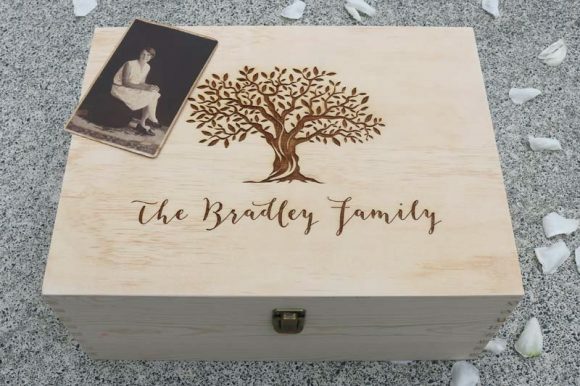 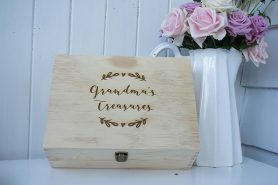 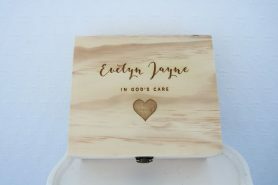 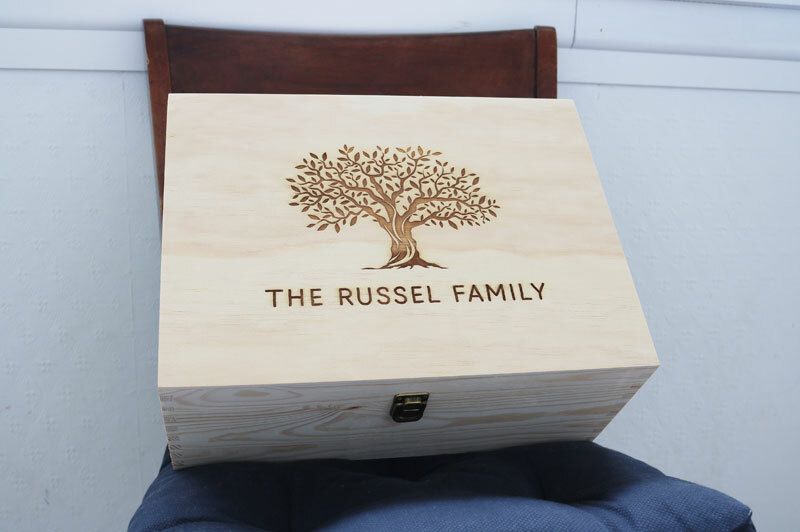 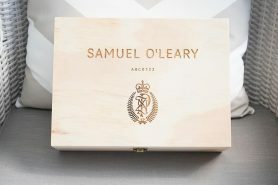 A beautiful wooden Family Keepsake Box to store and protect all your precious family documents and memorabilia. 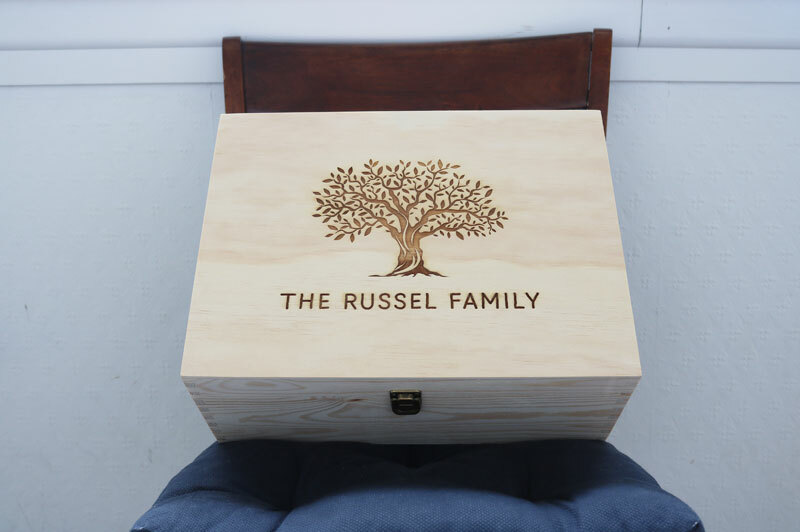 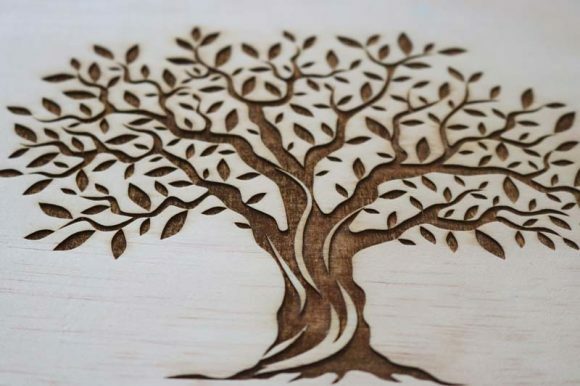 Do you have a genealogy enthusiast in your family? 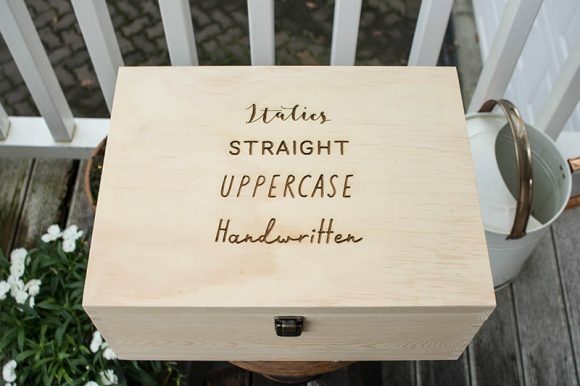 This could be the perfect gift. 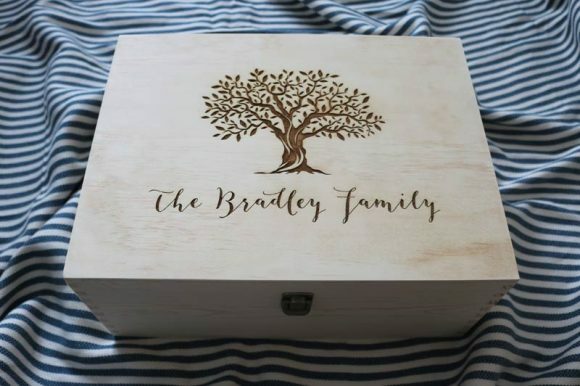 Personalise with your family name/s in either our curly or straight font. 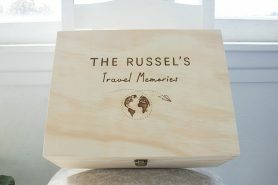 Available in 3 sizes, Large, Medium and Small. 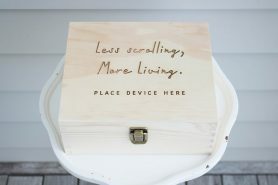 This family keepsake Box include’s a lift up lid secured with vintage-style latch and fixings.